Despite all the fancy frills of modern dining, nothing beats a juicy, well-cooked steak. Top 100 Steak Restaurants in the United States list, which is based on more than 5 million restaurant reviews submitted by OpenTable diners for more than 19,000 restaurant in the US. The list of winners spans 32 states, with Texas securing its spot as the beef capital of America with 15 restaurants on the list — more than any other state. As for the best steakhouse in America, Ruth’s Chris Steak House appears on the winning list 13 times. 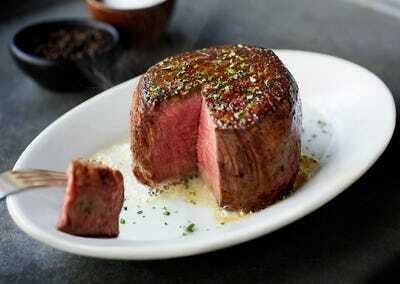 Del Frisco’s Double Eagle Steak House — Washington, D.C.